Remember back in April when we showed you the Samsung Galaxy S10 of your dreams? That concept was fantastic indeed, but it doesn’t even hold a candle to the new concept we’re about to unleash on the world. Samsung’s upcoming Galaxy S10 is shaping up to be the most exciting new smartphone the company has released in years. 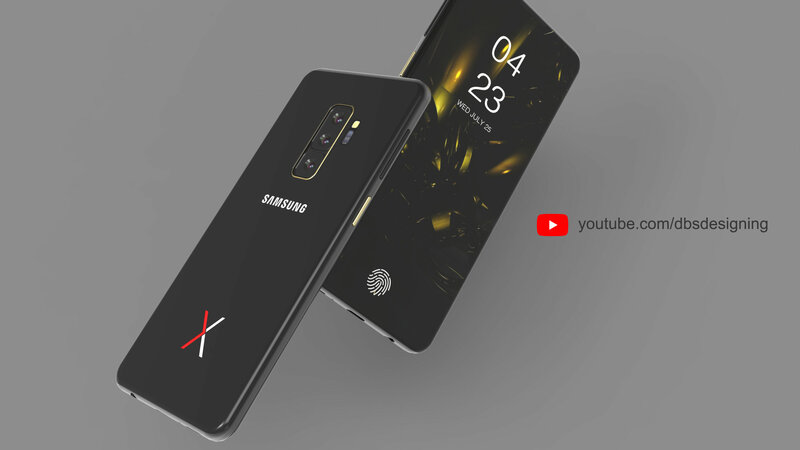 Since 2018 is shaping up to be something of a gap year for Samsung, whose smartphone design team collectively decided to bail and backpack through Europe for a couple of semesters, all the exciting Galaxy S10 rumors we’ve heard are that much more important. Samsung’s current Galaxy S9 and Galaxy S9+ flagship phones aren’t flops, but they also aren’t selling nearly as well as Samsung had hoped. It’s basically impossible for a Samsung flagship to flop considering the billions of dollars the company spends each year on marketing and advertising, but sales are believed to be chugging along at a much slower pace than Galaxy S8 and S8+ sales did last year. We’ve seen several independent reports to that effect, and the fact that the phones saw big price cuts at three major carriers just one month after they were released certainly isn’t a good sign. Why aren’t the selling well? Simple: they’re boring. The Galaxy S9 and Galaxy S9+ look just like last year’s S8 and S8+, and they don’t have any exciting new features that might compel people to upgrade. We expect more of the same from the Galaxy Note 9 set to debut next month, which is why it’s so important for Samsung to show us something special with next year’s Galaxy S10. Well, if it ends up looking anything at all like the concept we’re about to show you, 2019 can’t come soon enough. Graphic designer Muhsin M. Belaal Auckburaully just published a brand new set of renders on his Behance page. He goes by DBSDesigning on YouTube and he’s known for mocking up gorgeous renders of unreleased smartphones. His latest effort focuses on the upcoming Galaxy S10, and it’s nothing short of stunning. Now, the first thing you’ll notice is a big mistake the designer made. He called the phone the “Galaxy X,” just like how Apple used the Roman numeral X for 10 on last year’s new iPhone. As we know, however, Samsung has a completely different phone that will likely be called the Galaxy X, and it’s a new foldable model that’s rumored to be launched sometime around the middle of next year. The new Galaxy S flagship for 2019 will be called the Galaxy S10, just like we expected. 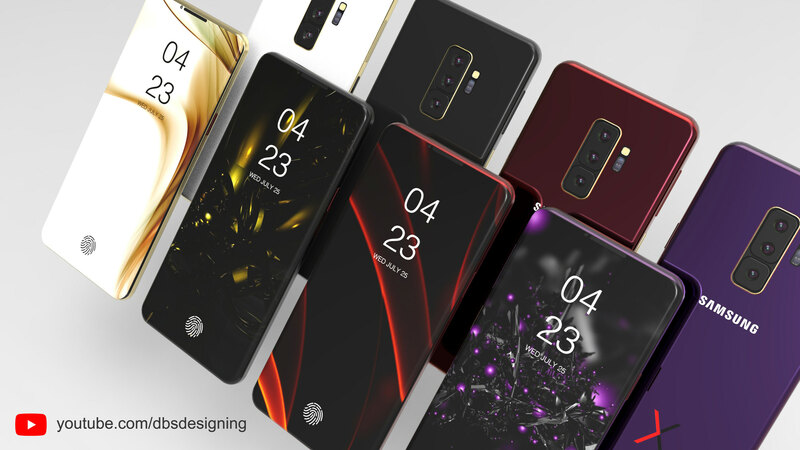 The Galaxy S10 renders pictured here will likely end up being pretty close to the real thing. No, sadly the phone won’t feature a display that stretches to every side with absolutely no bezel, but it is expected to be closer to a true all-screen phone than Samsung has ever come before. 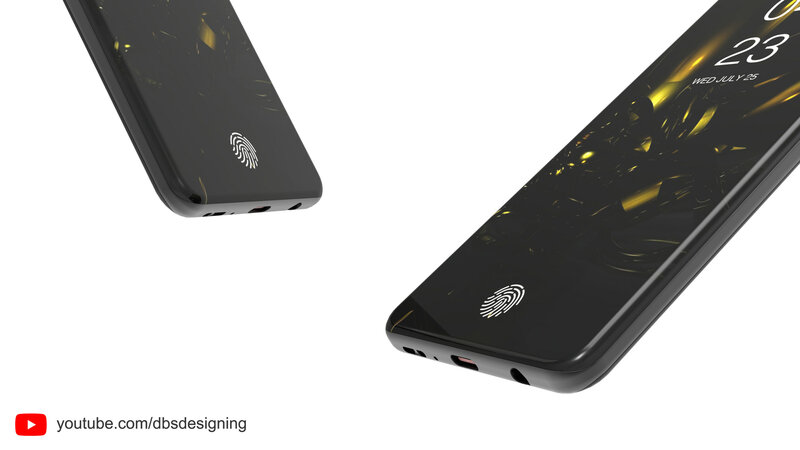 It’ll also reported be Samsung’s first phone to feature an optical fingerprint sensor embedded under the screen, as is pictured in these renders. On top of that, the triple-lens camera seen here is also realistic — Samsung’s high-end Galaxy S10+ is expected to feature a triple-lens camera system like Huawei’s P20 Pro. The Galaxy S10 may be unveiled as early as January next year during the annual CES trade show. 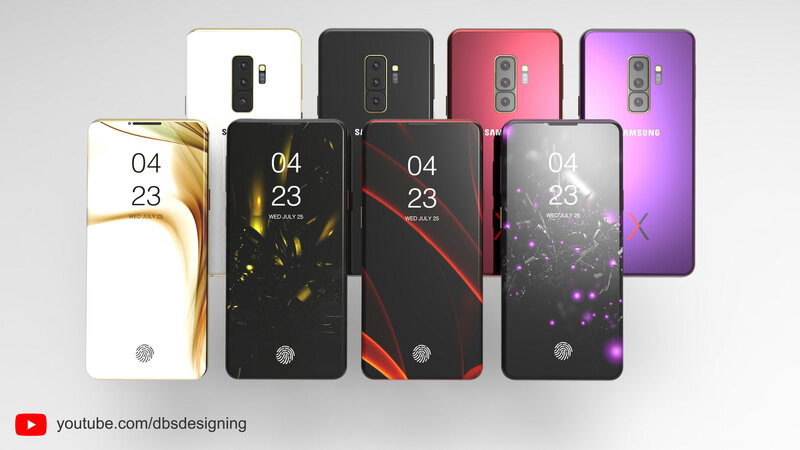 In the meantime, a video featuring the Galaxy S10 concept design pictured here can be seen below, and more images can be found on the designer’s Behance page.